Every game, movie, TV show, or book should open with a relatable hook, right? It needs to be something that we as viewers, players, consumers, and humans want to see, read, or play. 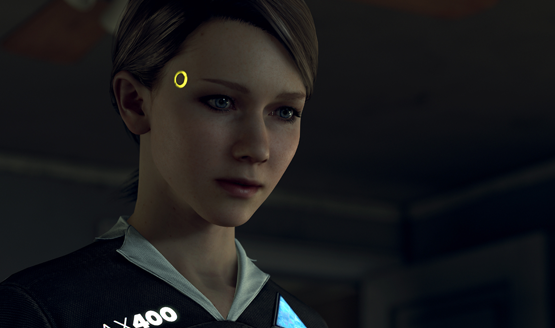 Detroit: Become Human’s androids are that hook. 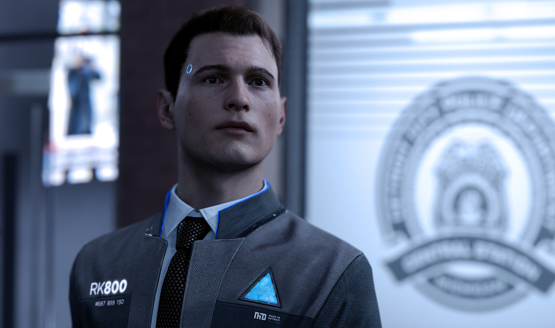 Advanced technology gaining sentience has long been fodder for science-fiction writing, but as we grow ever closer to that reality, Quantic Dream decided to take a far more grounded approach with those themes. In reality, the androids are a smokescreen for a much deeper story that covers a lot of different human elements. At the same time, it allows the player to shape their own path and navigate the nuances of these themes in their own way. I’m going to attempt to review Detroit without any spoilers, which means I will be talking vaguely about a lot of things. I think the story is far better experienced with all of the surprises, twists, turns, and decisions intact, no matter how minor. When I played through the opening three hours last month, I wrote a long preview that essentially reviewed this early portion of the game. That text still stands and is the foundation on which the rest of the game is built, so I implore you to read it. 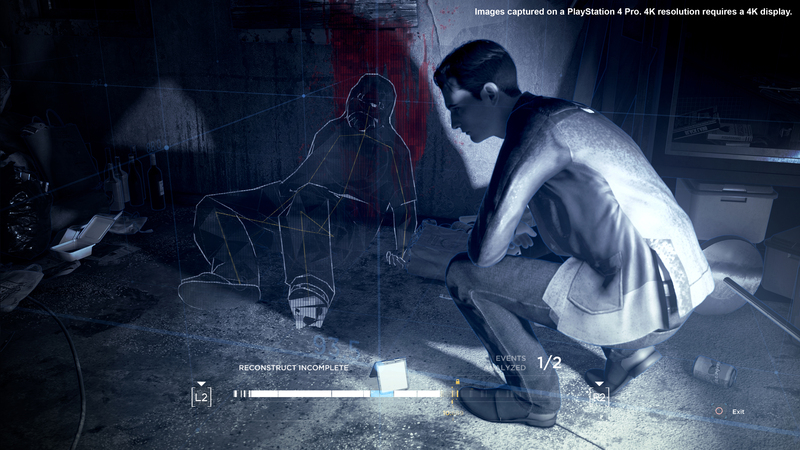 Detroit is a game about what it means to be human and the problems that many of us face on a daily basis, some more than others. The opening moments that I wrote about draw players in with familiar and relatable situations. They hint at a greater world full of greater problems, but a microscope provides an up close look at our main characters and the ones that surround them. Kara is the abused woman beholden to a drug-addicted owner. Markus is the man who knows he can be something more than what he’s told. Connor is the stoic cop at conflict with his duty. And then there are the people that surround these characters. A little girl assaulted by her abusive father. Other androids who just want their freedom. A grizzled detective with a stronger heart than he lets on. Throughout the story, I got close with each of these characters and more, falling in love with some, and coming to despise others (did I aim to kill Todd? Oh, I aimed to kill Todd). While accompanying each of these characters on their journeys, I also got a glimpse at the wider world of 2038. It was a world not unlike our own, though the problems of today seem to have been exacerbated over the two decade jump in time. Detroit’s world is one that seems painfully familiar and all too plausible, in both the best and the worst ways. Technology has reached high points, as have privacy concerns. War between the United States and Russia sits on a knife’s edge in the Arctic. The wage gap sits front and center, unemployment at an all-time high. Sports. Fashion. Dating. Business. Most of the clear information on the wider world beyond Detroit was obtained through magazine articles that can be read throughout the game, but many scenes and events in the game itself also highlight how much the world has changed, and how much it has stayed the same. Throughout the narrative, the story gradually escalates from subtle and intimate to obvious sweeping allegories. The story goes from being a mirror to being a warning, with clear allusions to Nazi Germany and other sociological travesties of the past that humanity would do best to avoid repeating. It goes from a quiet, intimate story to something much larger, while still managing to focus on the personal stories of our main characters. This isn’t really a story about technology. It’s about what it means to be human, and it’s more relevant now than ever. And yet, this was entirely my story. It was the story of change. It was the story of love. It was the story of family. I cried at certain moments, and felt shocked and dumbfounded at others. I cheered when characters succeeded, and I cried foul when something bad happened. I was emotionally invested, which is what makes Detroit’s story work so well. My attachment to the characters came because I was able to guide them within the decisions I wanted them to make, meaning that the consequences they faced were of my own design. I can’t say I got the happiest ending for everyone, but then, what’s a good conclusion without a little emotion to stir the pot? Not everyone gets their happily ever after, which made my story even more powerful for the ones who did. It also made me think about what went wrong for those that didn’t. Was it really my fault? Could I have changed anything? The answer is yes. I can change a lot of things, and going back to select different paths showed a completely different game. My first playthrough was my “honest” playthrough, the one I did without restarting or making any other decisions. If I failed in a fight, chose a bad line of dialogue in a conversation, or walked the wrong way, I resolved myself to live (or die) with those choices. And yet on different story branches, this character can live. That one can die. Things can go a lot better, and they could have also been much worse. The number of branches is staggering, with even the smallest actions rippling into scenes that are much later in the story. The themes are expertly woven throughout the three character stories, and no event or thematic element feels inherently forced. When tackling subjects like death, abuse, family, love, inequality, and many others, they simply feel like part of the narrative of being human, or at least becoming human. Nothing ever felt shoehorned or out of context to the grander scheme of the story, meaning moments that once caused controversy as a marketing spot for the game become meaningful parts of each character’s journey. Where some see controversy, I see a harsh look at certain realities that society deems taboo to discuss. Detroit wouldn’t be a story about futuristic technology without a number of glaring plot holes regarding said technology. It’s never really clear what the full capabilities of the androids are. There are certain macguffins that cropped up at opportune moments or when it was cool to show off future tech, but then went unused at other times when they could have come in handy. One entire scene didn’t even need to happen based on abilities the androids were shown to have in that very scene. Pay attention to little things Kara and Markus do early on in their storylines, and then wonder why they rarely tap into these abilities again later. Without getting into too much detail, let’s just say that there were certain times when my stationary Google Home felt more useful and technologically advanced than these androids did. Depending on your own story path, you may or may not encounter these moments, and some alternate story paths could possibly fill in gaps. It’s hard to fault them too much. Some of these plot holes are obviously there to make the story feel more human. They allow the player to more easily relate to the android characters, as well as provide a clear emotional development path for them through hard decisions that must be made. As a consumer of a lot of games, movies, and TV shows, I’m pretty good at suspending my disbelief. 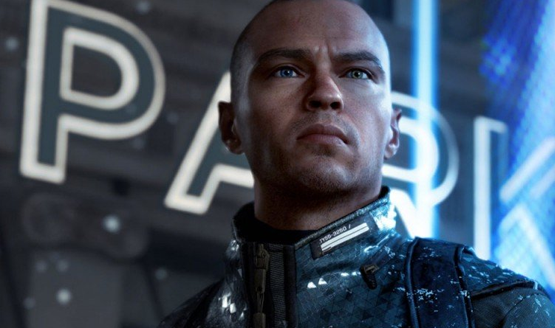 In a game as polished as Detroit, where the developer was going for futuristic realism rather than science fiction, it makes these plot holes stand out even more than they would otherwise. Controls are as you might expect from a Quantic Dream game, that’s to say that they can be quite clumsy and tank-like at times. Attempting to change directions suddenly is an exercise in patience, and collision boxes for most objects seem four times larger than they need to be. Getting stuck on objects and corners was a common occurrence. Invisible walls shrink what ought to be playable area. The interactions work fantastically well, but anytime I had to walk around I looked like a malfunctioning android that couldn’t quite get a straight path to their destination. Were these androids’ motor functions based off of Roombas? I understand that this isn’t an action game, so the characters should feel purposeful and heavy, but that came at a detriment to the experience on more than one occasion. Though Detroit is visually one of the PS4’s most stunning games, there’s a clear and noticeable downgrade for it on the standard PS4 versus the PS4 Pro. I played it on a PS4 Pro at the preview event. When I replayed those opening three hours on my standard PS4 at home, it made me really want to make the upgrade. Textures were sharper and more detailed. The lighting was more dynamic. That’s not to say that those of us with a standard PS4 are out a fantastic experience, but the PS4 Pro really gives Detroit an extra layer of polish that makes it one of the best looking games this generation. Some games allow us to escape reality, and some force us to take a long hard look at it. Detroit: Become Human is one of those games that straddles the border between entertainment and reality. The themes it covers are very real, and it allows us to get a unique perspective on societal problems we may have never given much thought to before. No matter who you are, no matter your race, gender, political affiliation, age, or economic standing, you can find something in Detroit that will resonate with you. Detroit was never an easy game to play. Many of the choices were hard ones to make, and there’s no real right answer. It’s a game that cautions us not to repeat mistakes of the past. 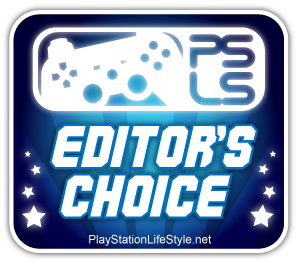 My choices shaped the story and personalized it, allowing me to see those decisions play out in myriad unique ways, plot holes, clumsy controls, and all. Even as human as we are, we are always becoming human, and no matter which path you take, Detroit is our story. Detroit: Become Human review code provided by publisher. Version 1.02 reviewed on Standard PS4. For more information on scoring, please read our Review Policy.